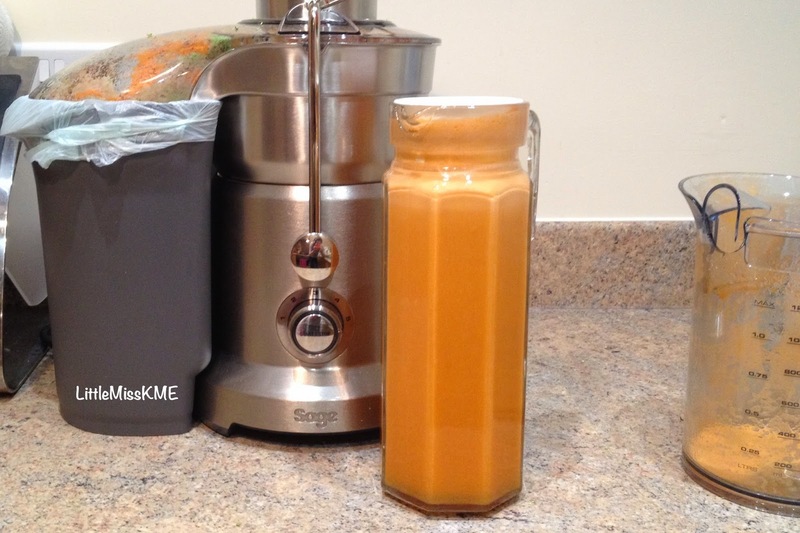 Yes this juice may appear orange - in fact very orange, but don’t let the name fool you. There are no oranges in this weeks fabulous juice! Orange Twist is packed with Vitamin C and dietary fibre, plus a good kick of warm ginger; making it the perfect juice to start your day. 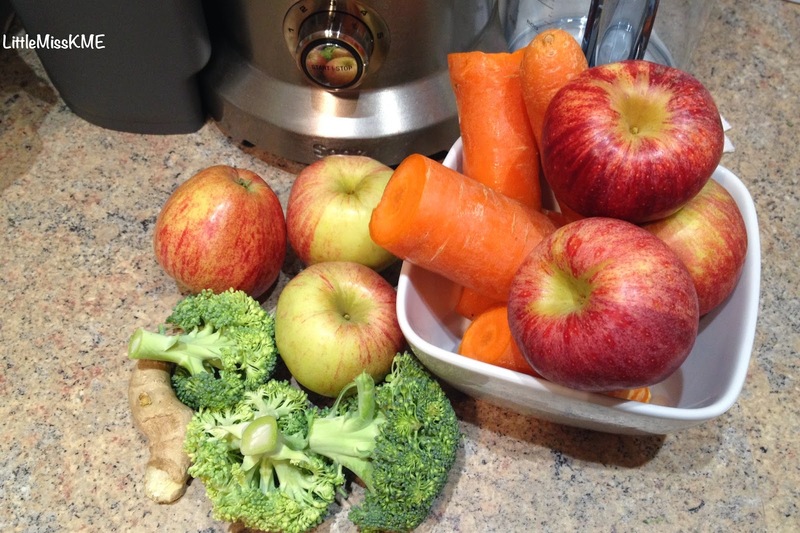 As always remember to take care rinsing all of your fruit and vegetables before juicing as well as removing the stems from your apples (these can’t go throw the Sage Juicer). Then when you are ready pop all of the ingredients into the juicer, making sure it is on the correct speed setting for each food type. Looks tasty! Which usually can't be said about healthy juices, hehe.